Being swept at home is never a fun thing for a club. Being swept at home by a bitter division rival makes things even worse. 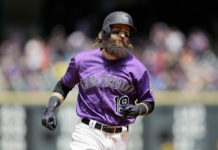 After failing to build a sizable lead over the division, the Los Angeles Dodgers made the Rockies pay by taking three straight games at Coors Field over the weekend, climbing within 2.5 games of Colorado in the standings. Despite having played below expectations for the vast majority of the season, the Dodgers rolled into Denver looking like a team that was unstoppable. Colorado held leads in all three games of the series, but squandered every single one with poor pitching. In the series, The Rockies averaged 6.3 runs per-game, tallying 19 total runs against the Dodgers in the three-game set. It was not enough though, as the Dodgers exploded for 33 runs in three games. Even more concerning than the fact that the Rockies were just swept by a team that has been struggling all season is the fact that the Rockies have yet to sweep a series at home, themselves. A large reason that the Rockies have failed to win ballgames at home has been the inconsistencies in the bullpen. The Rockies’ home ERA currently sits at 5.93 which is the worst in baseball and things have not gotten better recently. 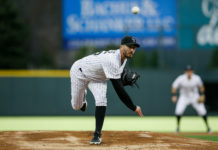 During the current four-game losing streak, the Colorado bullpen has given up 20 runs in 16 innings of work and owns a combined ERA of 11.25. Simply put, this team has been getting shelled, especially at home. 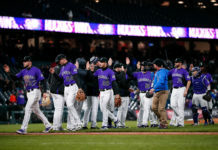 Luckily for manager Bud Black, the Rockies have a much needed off day Monday, before they will look to solve some of the pitching woes on the road. The Rockies will travel to Cincinnati, OH. for a three-game series with the Reds. Cincinnati currently sits dead last in the NL Central with a record of 21-39. When the two clubs met in May, the Rockies took two-of-three at Coors Field. Colorado is in serious need of a turnaround this series and has a golden opportunity to get things on track against an extremely poor team. 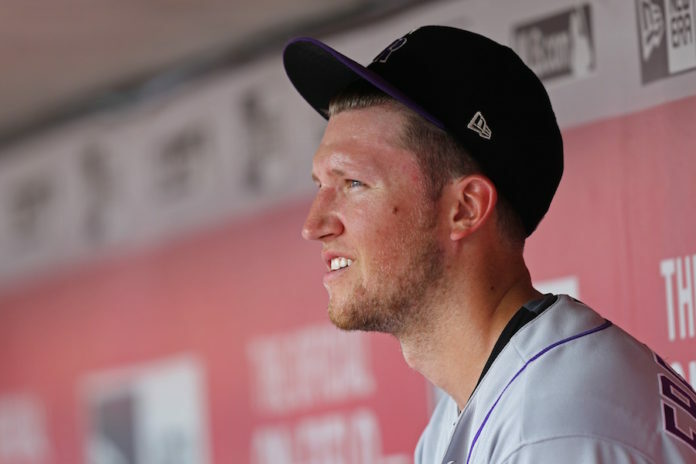 This team has yet to truly click on both sides of the ball this season, but the Rockies are a team that is built to win now and early June would be the perfect time for a contender to discover its identity. Tues.: Kyle Freeland (5-5) vs. Anthony DeSclafani (0-0). 5:10 p.m. MT. Wed.: Jon Gray (5-6) vs. Sal Romano (3-6). 5:10 p.m. MT. Thur: Tyler Anderson (3-1) vs. Tyler Mahle (4-6). 10:35 a.m. MT.